Dublin manager Mick Bohan celebrates. ©INPHO/Tommy Dickson. 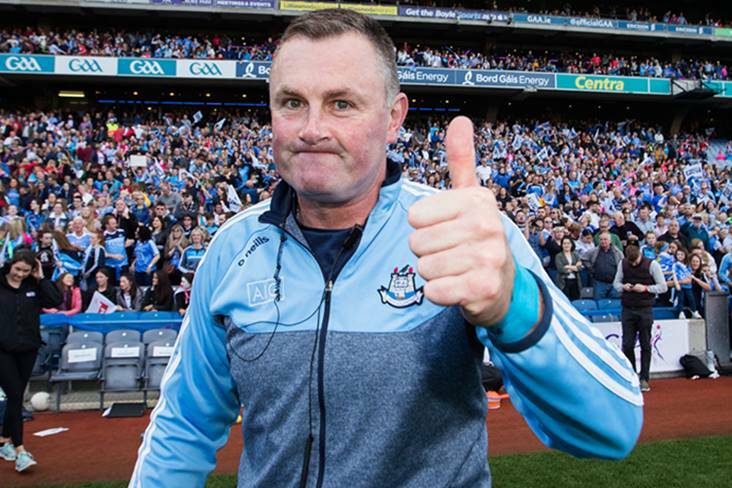 Manager Mick Bohan and Dublin are basking in the success of back-to-back All-Ireland triumphs. “We’re incredibly proud of this group,” he told TG4’s GAA BEO. “We obviously didn’t want to make more of today than what it actually is. Tomorrow I’m sure they’ll take great stock over the fact that they have probably beaten the best team over the last decade in the country. The Jackies finished on the wrong end of the scoreline against the Rebelettes in 2014, ’15 and ’16. Was that something that was discussed inside their dressing room in the build-up to today’s decider? “I suppose we discussed it 18 months ago because we were probably building for it since then,” Bohan answered. “We probably always felt this day was going to come. We were aware of the fact that, like every other team at this level, they wear red, they’re called Cork but it wasn’t actually that that bet us.